Yet another Spring Sale, this time at Accompany in observation of Earth Day! Get 25% off with code ECOWARRIOR25. Note: I found that there were tons of Ace & Jig exclusions, which made for a bit of a frustrating shopping experience. However, I can confirm that the lovely Paz Dress in Twine (above) does, in fact, qualify! See below for other items that are included in the sale, including some non-Ace things. Sadly, most of the current season Ace pieces are either sold out or not part of the promo, with the exception of the: Pinafore Dress in Dancer and the Paz Dress above. There are still some items from past seasons, such as the Lee Gauchos in Anisette, and the classic black flags. It's worthwhile to do a little digging, but just make sure the promo code applies to everything before checking out! Summers in NYC are unbearably hot and humid, and we spend a lot of time in non-air conditioned spaces (like subway platforms). As such, I tend to gravitate towards things in canvas, raffia, and jute, which provide maximum ventilation when even touching even little bits of leather seem like too much to bear. 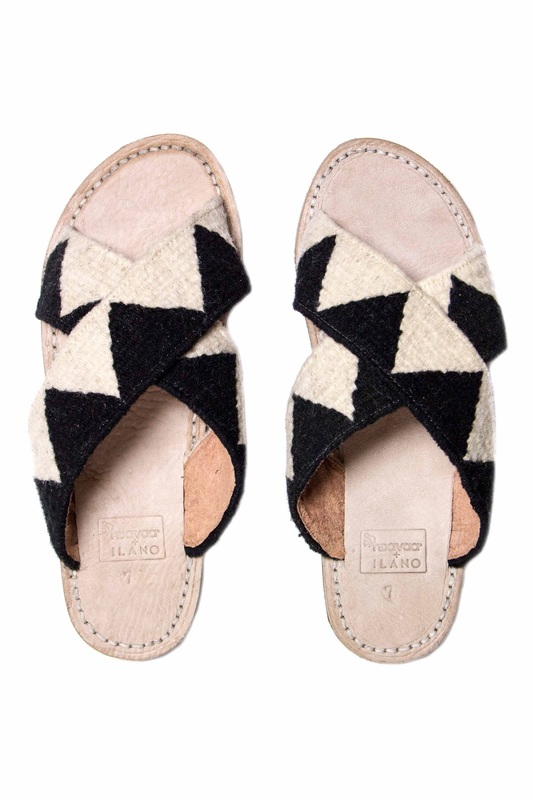 The Ilano Jing Slide Sandals are bold, yet neutral, and are sure to go with your summer everything. And they'd look particularly great with Twine, don't you think? 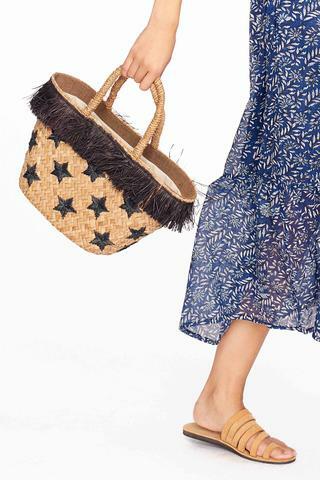 I have a thing for both stars and fringe, so this little raffia tote by Kayu immediately caught my eye. 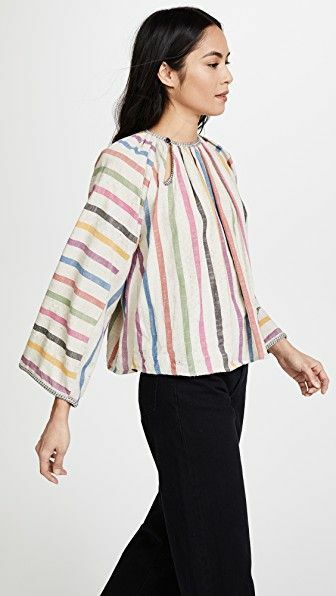 Such a unique look, and at a price that won't break the bank.